Heavy rain kept most people away on one of our September days. We were almost ready to close up for the day when a pack of 21 bedraggled Brownies came in with their Brown Owl. Our only other customer at the time was a Norwegian man enjoying a quiet tea break on his Coast to Coast journey. Shortly after the Brownies arrived, the clouds parted and the sun came out. 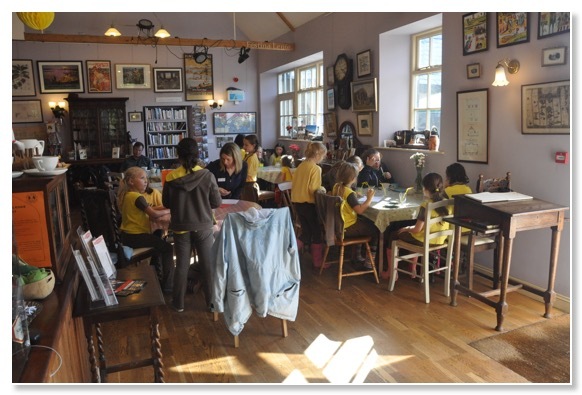 It felt very buzzy with 21 children in the place, it's hard to imagine what it would have been like with over a hundred children in this room in the early days of the school. Not sure what the Norseman made of it all. Emily's sunflowers finally bloomed. It seemed to take a long time but the final result is pretty impressive. 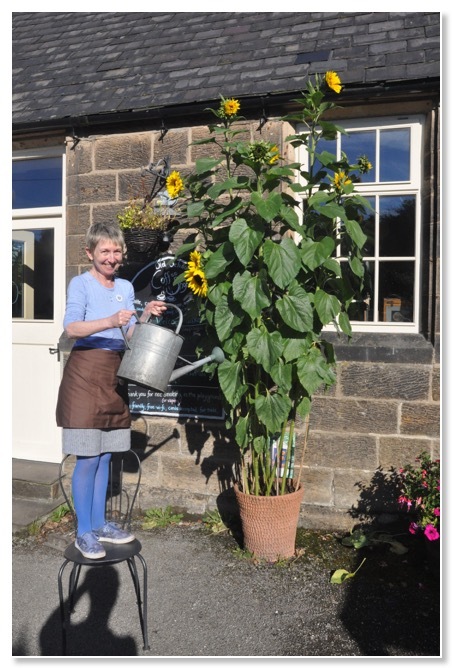 The plants themselves are huge and have needed a lot of watering. Ten seeds planted, ten grew and, in the end, ten flowers appeared. We have been enjoying days off each week in September. A real treat after our seven days a week opening across the summer holidays. 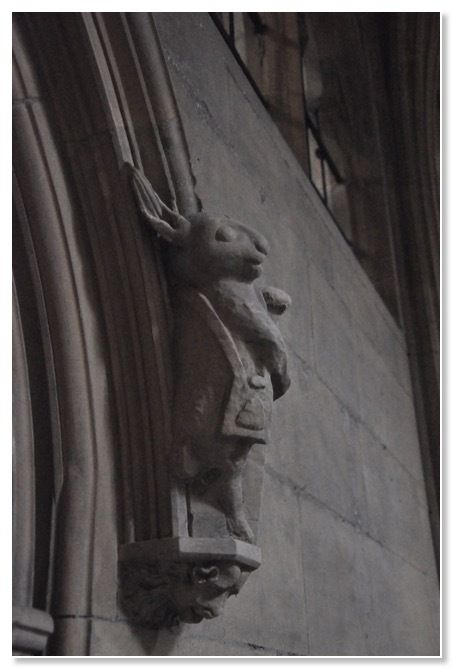 On one day off we saw this stone rabbit in St Mary's church in Beverley. It's reputed to be the inspiration for Tenniel's illustration of the White Rabbit in Alice in Wonderland. You can see why. Some of the September days have been warm and sunny. 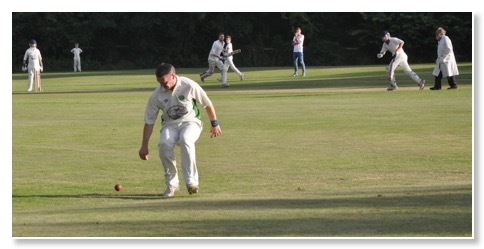 Still time for cricket matches in the evening on the village pitch but with long shadows signalling the start of autumn.